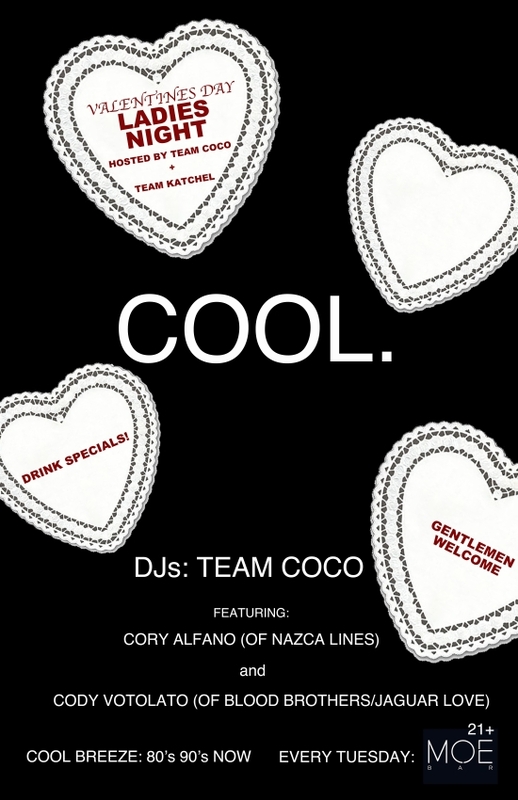 Valentine’s Day falls on a Tuesday this year, and Moe Bar is featuring a special Ladies’ Night with DJs Team Coco (that’s Nazca Lines’ Cory Alfano and Jaguar Love’s Cody Votolato to you). There will be music, drink specials and oh, men are welcome to this event as well. Join Kate and Rachel from Neumo’s for a Valentine party. Lisa Dank is one of my favorite artists in Seattle. Actually I would love her no matter where she came from. 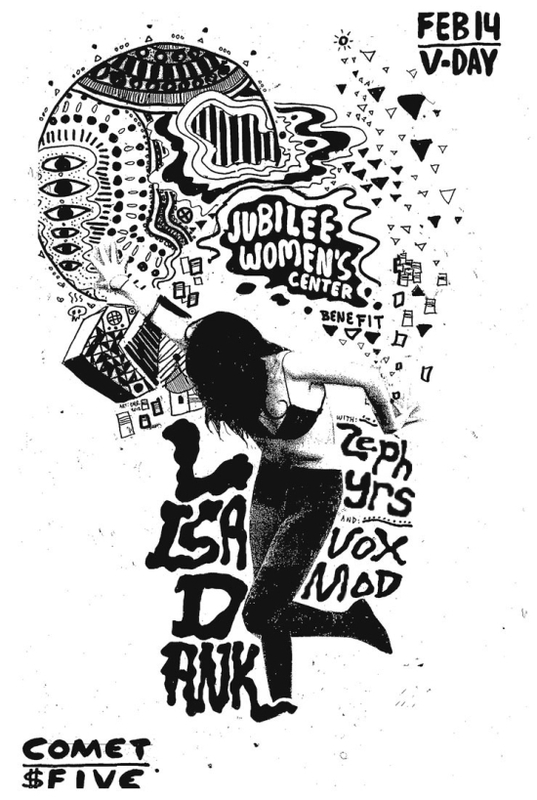 Dank will be at the Comet for a $5 per ticket Jubilee Women’s Center benefit. That’s a perfect deal to see Dank so closely, and you’ll be helping a good cause, one that assists women improve their lives. VALENTINE’S DAY IS TUESDAY. 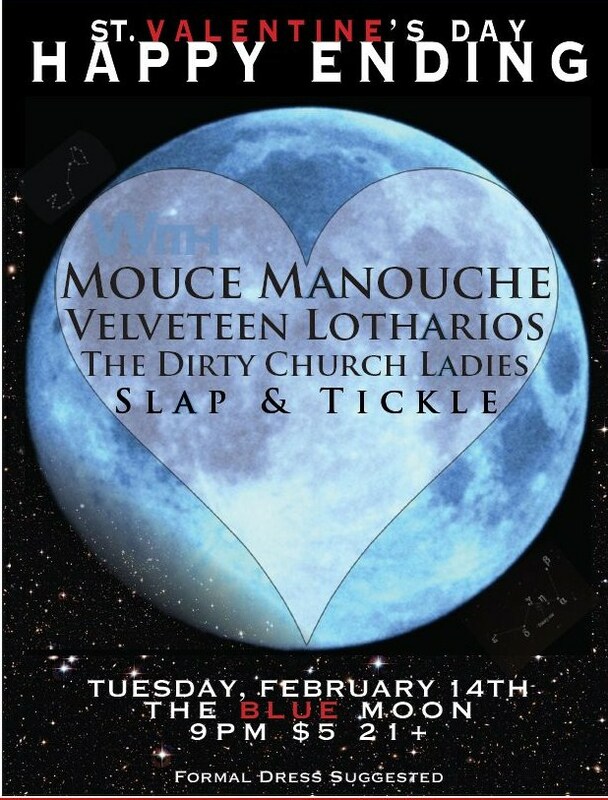 If you would, join us for St Valentine’s Happy Ending, the only time of year when the boys at The Blue Moon play nice. We’re decorating the bar and offering drink specials on liquid dessert shots and setting you up with a program of romantic music. You’ll even have the chance to make your own valentine, be it for your date or that certain someone you see across the bar. And did I mention oysters? Yep, we’re gonna have oysters, too. Wear something nice, why doncha. It’s a $6 cover and the fun starts at 8. 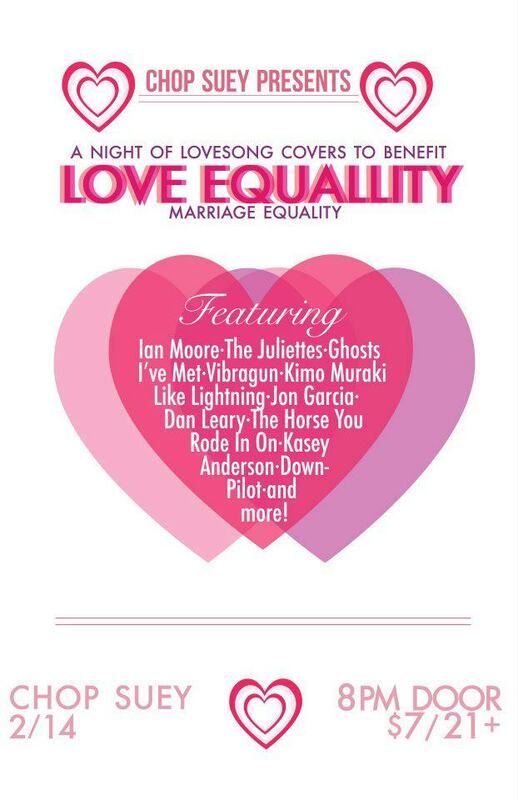 Back on Capitol Hill Chop Suey presents Love Equally, (A marriage equality benefit/love song cover night) for only $7. Scheduled to appear are Ian Moore, The Juliettes, Ghosts I’ve Met, Vibragun, Kimo Muraki, Jon Garcia, Dan Leary, The Horse You Rode In On, Kasey Anderson, and Downpilot. The proceeds will go to Washington United for Marriage, who is an organization dedicated to legalizing gay and lesbian civil marriages – friend them on facebook. Governor Christine Gregoire should be signing the bill to legalize gay marriage on Monday, February 13th, but keep supporting the cause – there are still people who will challenge it. Written by: Dagmar on 02/11/2012.on 02/13/2012. This entry was tagged lisa dank, moe bar. Bookmark the permalink.